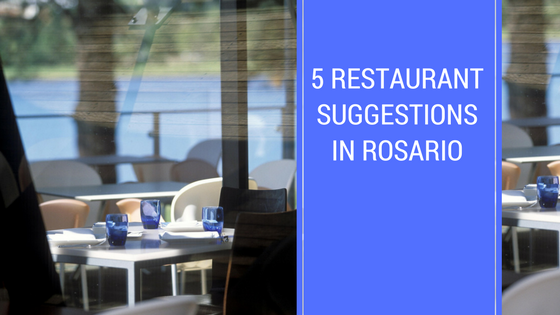 Going out is definitely something that Rosarinos know how to do it and Rosario has a really good selection of bars and restaurants. In terms of eating out, there is a wide range of places offering traditional and South American food as well as world food. For more information on where to go, see the blog section below. Argentina is well-known for the quality of its meat, which is the result of the first-rate cattle industry in the country. Traditional Argentine food is very diverse and has a very strong European influence. Traditional food, also known as Criolla, tends to consist of large barbecues called ‘asados’ or ‘parillas’ on which huge amounts of meat (mainly beef), intestines, sausages and black pudding are cooked. The beef “milanesa”, its chicken version “suprema” and pork version “lomito” are very thin fried filets coated in breadcrumbs sometimes topped with egg and cheese is served on as it is or in a bread roll. 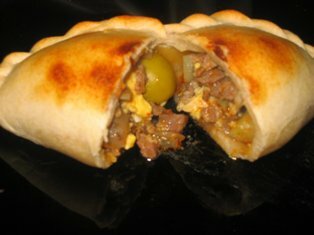 Empanadas (similar to Cornish pasties are puff pastries stuffed with minced meat , ham and cheese, vegetables or tuna) and rich stews like Locro (a kind of cassoulet) are typical Criolla food. Rosario coined the name carlito to refer to the ham and cheese toasted sandwich with Ketchup that would be known as Tostada in the rest of the country and usually eaten as a quick snack at lunch time or shared with people with a beer. The European influence in Argentina is clearly visible in the food. 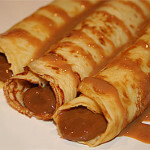 The Spanish gave their influences on the traditional stews, churros and alfajores (2 biscuits filled with dulce de leche and covered with chocolate), the Italian on their pasta and pizza and the German on the sauerkraut and the beer. All theses items are nowadays staples in Argentine cuisine and have been slightly altered to the Argentine pallet on some occasion. We may find that restaurant stop serving food after a certain time in the afternoon but in most case, they still serve empanadas, tartas (quiche), salads, carlitos and sandwiches all day long. It will be quite hard to be disappointed by a meal in Argentine, whatever region you are in, food is always tasty and most of the time home-made. Argentine meal habits and timings are similar to those in the south of Europe, usually a light breakfast of a coffee with 2 miniature croissants (media lunas), at lunch time the main meal (it often includes milanesa as the main dish) and a light dinner at around 10pm. Well, let’s make it official, Rosario IS the capital of ice cream! You would not believe the amount of ice cream parlours in the city: over 120 of them!!!!! It isn’t surprising that the average Rosarino eats 10 kilos of ice-cream per year, double the national average. And they are of the good stuff! Unsurprisingly the most common flavours is Dulce de Leche, with its dozen variants. Portions are huge here and Esther is probably the best one. Yerba Mate (pronounced yer-bah mah-tay) is basically a tea. You can drink it hot or cold. Lots of people drink it in Argentina, Uruguay, Paraguay, Southern Brazil and even in Middle-Eastern countries. Mate and yerba translate directly into ‘cup’ and ‘herb’ respectively. So yerba mate is basically ‘herbs in a cup’. 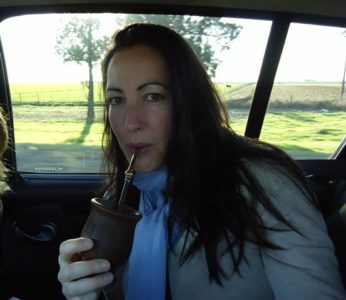 Traditionally, yerba mate is sipped from a hollowed out gourd through a metal straw called a bombilla (bom-bee-ya). There’s a good article on Wikipedia about yerba mate if you would like to read more about it. Of course, Argentina is famous for its wine! 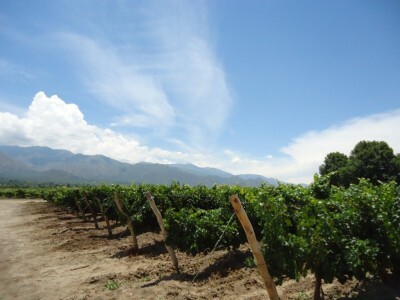 There are various regions making wine such as Mendoza, San Rafael, Patagonia, Salta, etc. The Argentine wine industry is the fifth largest producer of wine in the world. Argentine wine, as with some aspects of Argentine cuisine, has its roots in Spain. During the Spanish colonization of the Americas, vine cuttings were brought to Santiago del Estero in 1557, and the cultivation of the grape and wine production stretched first to neighbouring regions, and then to other parts of the country.